Trustworthy, tech-forward, and talk-of-the-town-good are just some of the traits people expect from a top real estate agent. It’s easy to be these things when you’re face to face with a client, but how do you show them on promotional material? That’s where we come in. 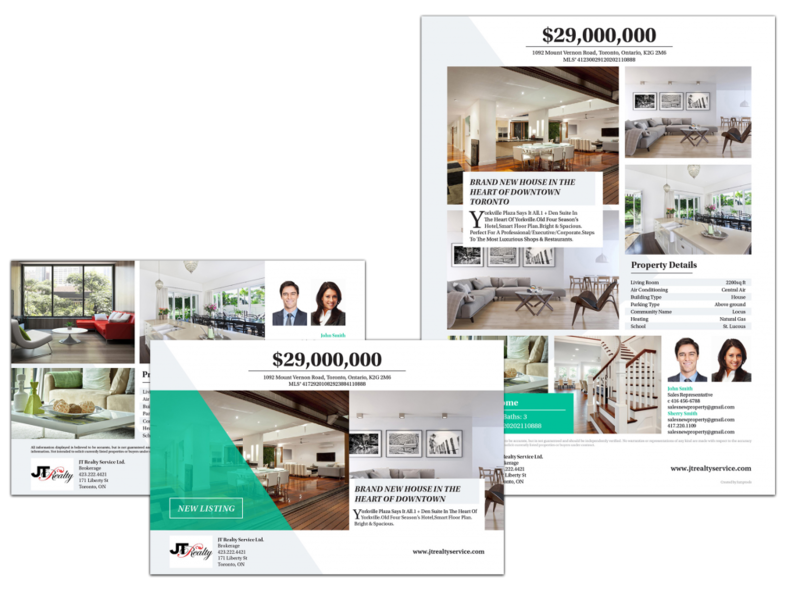 The Marketing Studio lets you effortlessly create print and online marketing piece to get more exposure for your clients’ listings. And make you look good in the process. 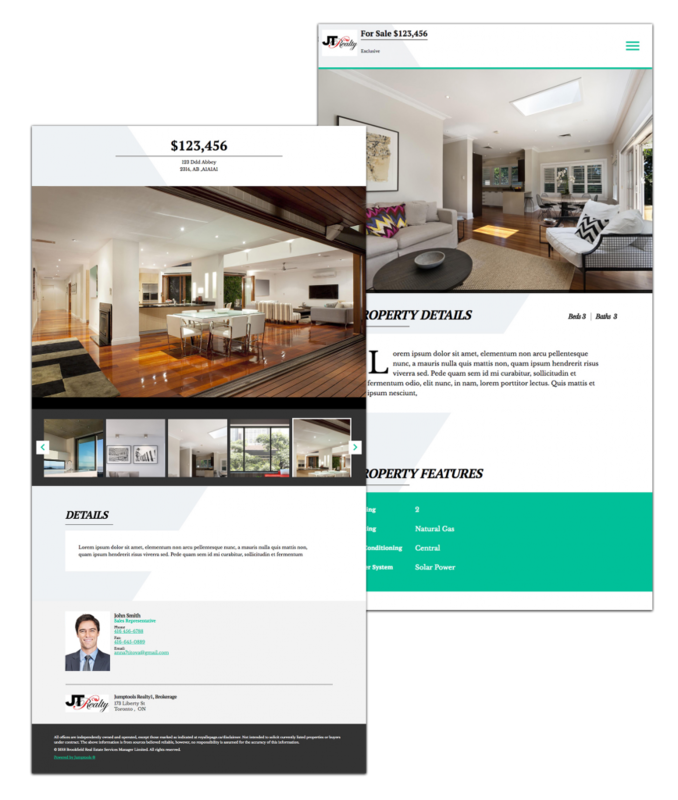 Maximize online exposure for your seller’s property by creating a single property website with the Jumptools Studio. Back links to your Jumptools agent or team website help your Google ranking and clients love this level of service. What could be easier than a 4-step process? A no-step process! With Marketing Studio’s Cruise Control feature, you pick which pieces you want to make for all your listings. Feature sheet and postcard? check. Single property website? No problem. Select the design to use for each piece. Then, every time you get a new listing, we’ll automatically build the pieces for you and send you an email reminding you that it’s time to review and publish those pre-built pieces. We Make it easy to make your listings look great.